Release of the much anticipated Apple Watch is upon us, and with it comes the launch of a healthy selection of third-party apps, which follow strict design guidelines set by Apple. According to a report by Bloomberg, Apple is encouraging developers to design apps for a 10-second use time. Wondering what these apps built for short bursts of use might look like? WatchAware, a new site from the AppAdvice team, has created interactive previews of soon-to-be-released Apple Watch apps so potential users can see how apps will function on the new device. The site offers previews for 27 different apps including Run 5K, Todoist, Facebook, Twitter, Maps, Pinterest and more. The interactive format gives users a run-through of how the app functions and what notifications will look like. 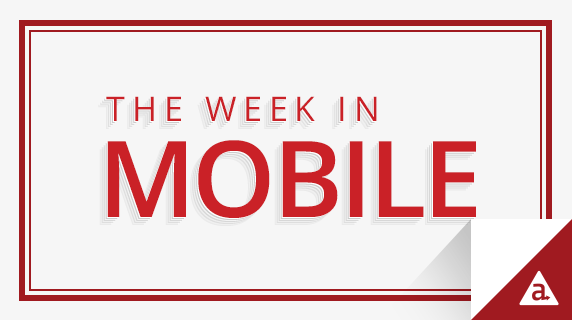 This year’s Mobile World Congress had more than 85,000 attendees, including C-level execs, mobile experts and media. So it should come as no surprise that the event saw the launch of some pretty exciting mobile innovations, among them the Samsung Galaxy S6 devices, a myriad of wearables, smartphones and tablets and some major advances in mobile security. Here’s a breakdown of what Mashable found to be the best things at Mobile World Congress: the Samsung Galaxy S6 and Galaxy S6 Edge, Alcatel Idol 3, Pebble Time Steel, HTC Re Vive, HP Spectre x360, Qualcomm Sense ID, Samsung Pay, Blackphone 2 and Blackphone Plus, Huawei Watch and the Sony Xperia Z4. Google is changing the way it ranks search results for users who access it from mobile devices. The search engine will now prioritize sites that are mobile-friendly and also pull information from indexed mobile apps installed on a user’s device. Google is able to access information in mobile apps using deep-linking technology, which allows developers to implement links in their apps that Google can then index in a similar way that websites are indexed. Google’s app indexing was introduced in Fall 2013, but this update will likely drive widespread adoption of the technology. The difference between Apple Pay and Android Pay – Google supports an “open platform” app ecosystem that allows developers more flexibility in how they build mobile apps than Apple’s “walled garden” approach. Android Pay vs. Google Wallet – Android Pay is Google’s second attempt at taking control of the mobile payment space. Google Wallet launched in 2011, but struggled to attract regular users for the app. Users will be able to choose between Android Pay and Google Wallet, or link the two. The other key players – Samsung and Paypal have also been making waves in the space. Samsung Pay works with traditional credit card readers, which gives it an edge, and PayPal recently acquired Paydiant, which powers in-app transactions. In the fourth quarter, Apple sold the highest number of smartphones globally, which means the company outsold Samsung for the first time since 2011. Apple sold a total of 74.8 million smartphones compared to Samsung’s total of 73 million devices sold. That’s a 49 percent jump in smartphone sales for Apple in the fourth quarter (driven by the new iPhone 6 and 6 Plus), while Samsung’s sales fell nearly 12 percent. Fourth quarter success for Apple comes on the heels of a reported profit of $18 billion in its first quarter. That’s the biggest profit ever reported by a public company.